It was about February this year that I suddenly had a light bulb moment. It was time! Time for my girlfriends and I to run a market from my home. You see I have the most amazingly talented friends and my thoughts were that if we pooled our talents, we could put on a wonderful display and of course make a fortune in the process. After much deliberation the name”Home Market” Blessed to be a Blessing, became our logo and our slogan. The name spoke for itself….”Home Market- Self Explainatory. “Blessed to be a Blessing”. Each one of us is so well and truly blessed and therefore we are all called to be a blessing to others….for us it was a no brainer. So there we had it our logo and our slogan. In retrospect the whole concept fell into place quite easily. Each of us working in our particular fields to produce our unique crafts. As our “due date” approached we had early morning meetings finalising ou marketing stratergies, layouts for vendors and all the other minor details that would make the “Home Market” a rip roaring success. These mornings were always accompanied by copious cups of coffee and tons of laughter. I woke up on the morning of the 1st day of our market ( to be honest I hardly slept) with a feeling of such excitement. Actually I felt like a child on the morning of her birthday. Anticipation and expectation was the order of the day. 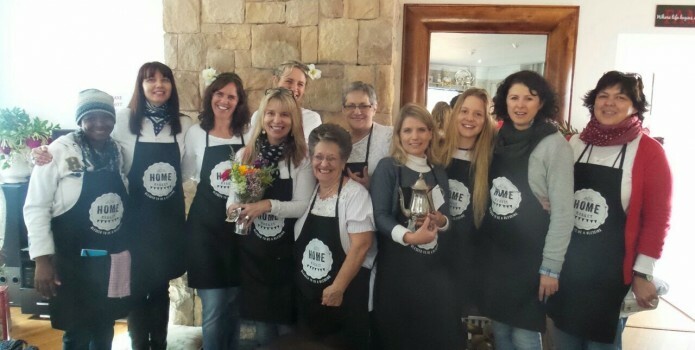 As I looked at my beautiful friends all dressed alike in our blue jeans, white T’s and black “Home Market” aprons, I was so incredibly proud of what we had achieved. My beautiful daughter, ever the entrepeneur was also included in our team. Dressed in our ‘uniform’ she had her dip dyed Tshirts on sale. I cannot remember when last I have enjoyed my friends so much. We all so enjoyed thosed two days of laughing, helping, serving and blessing. Some of the vendors were new to our group but by the 2nd day we were all firm friends. Every room in my home was absolutely beautiful. 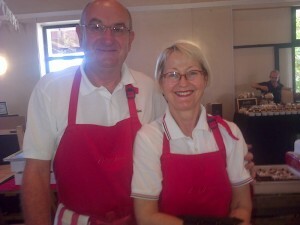 From the kitchen came the smell of freshly baked scones compliment of Claudette and Petru. In the entertainment area was the aroma of freshly brewed coffee served to perfection by my beautiful friend Mariel. Elmarie and Charmaines jewellery had shoppers gasping. Storme had her Tshirts so beautifully displayed and they are such a wonderful reflection of her unique style. Leilah’s skilful eye had carefully selected and revamped vintage articles and these were dispersed throughout my home. Melissa’s freshly cut bouquets brightened up every space. Zelda displayed her frames so beautifully and I of course had my cushions. Every space was eye candy and I loved it. I climbed into bed that final evening and felt like I was brimming over with joy. I just couldn’t figure it out. Why did I have this most incredible feeling inside me, what was it. It certainly was not due to the fact that I had made my millions. 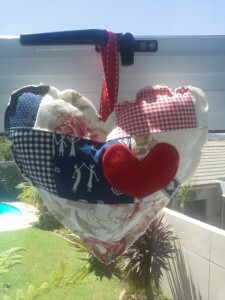 The market had not done at all badly for our first one but I was not packing away my sewing machine just yet. So what was this elation that I was feeling, due to? I lay there scratching around in my brain for the answer. Trying desperately to put my finger on it. I had just experienced the two most incredible days with precious friends. I had met and made new friendships that would last a lifetime. My Mom and Dad who I cherish beyond words had just celecrated their 56 wedding anniversay. They had both come through to enjoy the experience of our “Home Market” to eat the scones, drink the coffe and just be the wonderful people that they are. My daughter had had 1st hand experience of how a dream can become a reality andhad thoroughly enjoyed it. My BFF had chipped in and worked on the cash register simply beause she is wonderful and I love her. And most of all my darling husband had given up his home and half of his weekend for a group of ladies simply because it meant so much to me. As I lay in my bed I realised that I had prayed for our market to be a success and we had certainly all achieved it in abundance until overflowing. In the most awesome way, in a way that we could never possibley have imagined. Words can not describe what an experience our Home Market has been for all of us.. So often our measure of success is based on our financial gains. I believe now that if that is our main driving force we can so often miss out on what is really is so very importantant. How awefully sad. And so if you have a moment to spare, ponder on this…”How do you rate Success”? It’s such an important question to aks yourself..BUT so much more important …is the answer. Most of us tell our children that they can be anything they wish to be. All they need is determination and a positive attitude. I remember growing up that the world was my oyster. There was nothing that I could not possibley achieve. Why….because the most imprtant people in my world told me it was so. And so I simply believed. As we grow up we seem to get plagued by negative thinking and self doubt. Media throws these visions of perfection at us and when we look in the mirror what is thrown back at us is usually so short of photoshop that those thin cobwebs of doubt start to creep in and destroy our dreams. There are also those whispers of negatvitly from surrounding ‘friends’ that just add to the certainty that we will never achieve our hearts desires….what were we thinking? In fact sometimes this negative thinking is simply an excuse for us not to perform. We can almost take comfort in not performing because we so obviously don’t fit the right particular mould. Someone told me a story of a boy who decided that he wanted to be a swimmer. At his first gala he came stone last but as he climbed out the pool his dad who had been watching his sons every stroke called out to him. “Well done my boy, you are a champion”. This same boy went on to be a champion and competed at the Olympics…I ask myself what would have happened if the dad had told his son that he was wasting his time and that he did not stand a chance as a swimmer. Logic tells me that we all cannot come in first place. Whether we have been thrown a couple of curve balls or whether we have had the opportunity of choosing our path of our childhood dreams. The fact is quite clear its our race, ours to own and be resposible for. So what is stopping us from achieving our personal gold, would you believe me if I told you that the only contender for gold against you is you. I have a good friend who I have learnt so much from. She lives with an emense amount of pain and the prognosis from the Doctor is not good at all. She has also lost her husband recently and misses him dreadfully. But my word she is running a race worth double gold. The wonderful thing about Gold is that it has value and it shines like the sun. 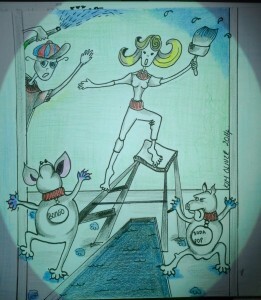 Run your race, earn your gold and you too can shine. Growing up is quite amazing. I don’t mean getting old I mean growing up. Like a matured red wine positively enhanced just by its age. As a child I remember the gems squash never being quite big enough to hide all those horrible green peas on my plate, and Purdy (our Doberman) sitting under the table grabbing every morsel of horrid green and orange vegetables that just ‘ happenned to fall to my lap. Then one day someone flicked the switch. Not sure how it happend but I not only liked all that was green I craved it, and still do. And as a teenager Ican clearly remember that the world simply revolved ….well around me of coarse, who else! My birthday, my Christmas…MY, ME, MINE! And then again, suddenly out of the blue someone flipped that switch and I realised that there was so much/many more than just me. Don’t get me wrong I love my birthday and prezzies as much as any one of my girlfriends. I have just woken up to the astounding fact that there is so much joy in giving. To make or buy someone something, or even to go out of your way to do something for someone else. its almost magical.That feeling of anticipation when you present a gift. Well its like when you excersie and release all those endorphins its wonderful. The strangest thing though is that its now become so hard to accept a gift. What I mean is when someone does something for me out of the blue I immediately feel I must do reciprocate or give something back to them. Instead of being able to rest in the fact that I have been blessed….I frantically start to scratch my brain to think of how I can repay the favor…GO FIGURE? I recently painted this painting for a very special friend. There was no reason. It was’nt her birthday, Christmas or anything like that. I simply wanted to do it and I did. The excitement bubbled in me like fizz pop. I gained more pleasure in doing this for her than she could possibly have imagined. I don’t know whether its just me but the world seems to have gone crazy. Everybody knows somebody who has, or did have some form of cancer. What is going on? Has it always been this way, was I just to busy to notice? A good friend of mine is currently fighting the good fight against this hideous disease. Its not a fun experience for her or anyone who loves her. Having said that I have listened to her talk in admiration about the wonderful people at Hospice who dedicate themselves in caring and supporting not only the sickly but the family and friends of the sick. Lets face it when somebody you love is ill your heart aches. As a seamstress I buy a lot of fabric . As I mentioned in one of my earlier blogs my husband is the neat organised one and I unfortunately am the untidy hoarder. Having said that, sometimes this hoarding can have its advantages. 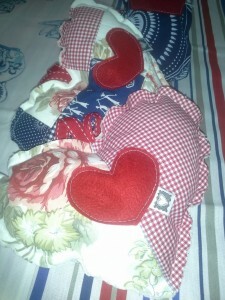 I have come up with this idea to stitch decorative fabric hearts. Each heart has a felt design . They are so beautiful as a gift for a friend or to pop into a prezzie to accompany a more expensive gift. Lovely and light these hearts are great to pop in the post to a friend. They will also brighten up any room. Hang them on a door knob, window latch or Christmas tree. 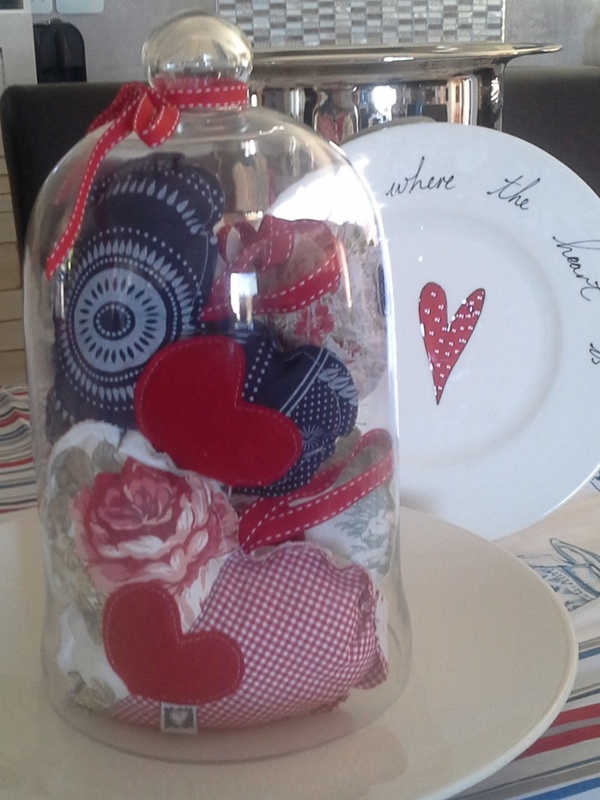 Take a look at one of the pics attached ,I have used the hearts as part of a table setting. What’s also great is that they are so affordable. So yes lets do our bit for this organization that does so much. 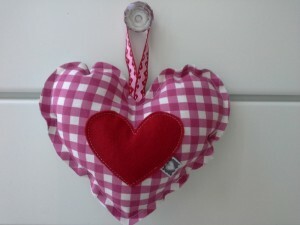 Heart size is 25cm x 20cm. I know we touched on the subject of painting the house last time. So I thought I would share this titbit of history with you. It is basically totally off the subject but it does make for interesting reading. Anyway it was about 100 years ago PC (pre- children). My hubby an I lived in a very small house with seriously a very small amount of rands. Actually we did not have to much of anything besides a pavement special called Soda-Pop and a Boxer called Bongo. Who lapped up any cash we had in the form of vet bills. 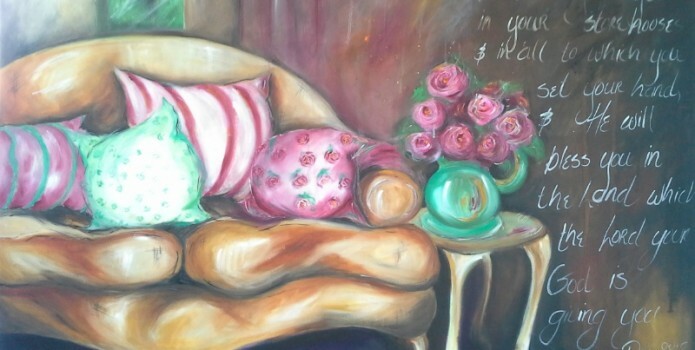 In my wisdom I decided to paint the interior of my house. Due to the fact that cash was at a minimum I decided to paint only half the house. I thought it would make for very interesting interior design as well as the fact that it would only cost, well half as much. As I mentioned it was 100 years ago and paint was still relatively cheap. I chose a beautiful wedgewood blue. As luck would have it my husband took an instant dilike to the colour so I had to return to the hardware store where they preceded to add more pigment. Note to self: never do this again as it messes with the integrity of the paint and results in the paint being terribly chalky. Now I had a relatively happy husband and a very chalky paint. Never the less I was on a mission and nothing was going to deter me. Our house was a pefect little rectangle. My master plan was to paint the one side from the front door all the way to the back door, sheer brilliance. What could possibley go wrong? On that note I need to back track some what. My hubby and I are total opposites. He is a financial guru, he is neat, he is level headed and he is the most organised person I know. I on the other hand am not one of the above. So I began painting. It was just after I had finished the 1st wall that I realised that I was just not having fun. This painting was just so boring. What made it all the more laborious was the fact that I had to be so neat, tidy and organised. I had been cautioned that not a drop of wedgewood blue paint was to come within an inch of our beautiful cream wool carpets. Oh, did I forget to mention that we had cream wool carpets from wall to wall. Now let me paint (excuse the punn) the scene. We had lovely french doors openning out onto a square of garden. I had placed the ladder in the centre of the doors as I was doing final touchups on the section of wall above the doors. I had the roller tray containing the paint on the plastic alongside the ladder, on the floor. I was now precariously perched atop the ladder with a brush in hand when suddenly the doorbell range. To this day I cannot quite remember whose fickle finger of fate it was that pushed the button. Suddenly Bongo and Soda Pop appeared from the garden. They tore into the lounge under the ladder and right through the tray containing my now very chalky wedgewood blue paint. They then continued on their mission over the cream wool carpets and onto our wovern cream lounge suit leaving in their trail tracks of perfect paw prints on my carpets and my lounge suit. In another life the design could have been quite attractive. In another completely different life that is on the outter edge of the universe. Well I simply couldnt believe it. It was a horror story. Blue paint enriched with a double dose of pigment is just not the easiest medium to remove from cream wool or woven fabric. In fact it is darn near impossible. I did manage to eventually remove about 98% of it. The balance remained behind, jus enough to taunt me. I must admit Wedgewood blue has never quite had the same appeal it once had. In fact I find it quite disturbing. Ok, so now we were on a renovation rollercoaster. Once you are on it there is no getting off . We had chosen tiles, taps, baths, flooring etc etc. but do you think for a single minute we could choose paint for the interior. Not a chance. Lets face it those colourful little pieces of card that they give you at the hardware to assist you in making a decision just make the whole ardious process more confusing. The colour on the card just never looks the same as on the walls. The cream looks yellow and the beige looks brown. Gone are the days where painting was a cheap form of decorating. So after much, much, much deliberation, we decided to paint the whole interior, wait for it ……. WHITE. Thank goodness we had opted for natrual bamboo wooden flooring otherwise all we would have needed would have been straight jackets. mmmm I must admit that afterall that deliberation and irritation the straight jackets wer’nt to far off. So yes, white floors white ceilings…beautiful , clinical white. Except if you know me at all you will know that I am definitely not a “clinical white” sort of gal at all. My husband yes, me no! What do they say about ‘opposites attract’……but that is a story for another day entirely. I needed wall deco and I needed it fast. 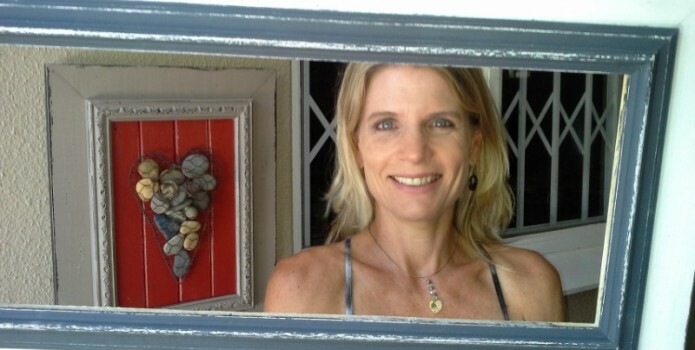 I called my beautiful friend Zelda Visser. Zelda as well as being an artist is a framer. She does not only do the tradiional sort of framing. 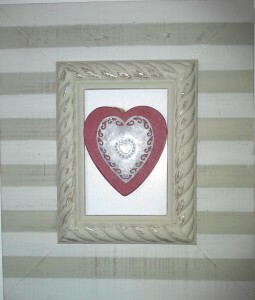 She has an original array of frames that she makes and hand paints herself. Infact she keeps on reinventing herself so a would be shopper (like me) would just never get bored. As a Mom who thinks her kids are just the most fabulous beautiful creations of all time it doesnt take much convincing to decorate my extremely white walls with grinning picks of toddlers or not so impressed looking teens. I paint myself so a large amount of the very white wall space has been filled with my own art. The balance with frames I mostly acquired from my friend. 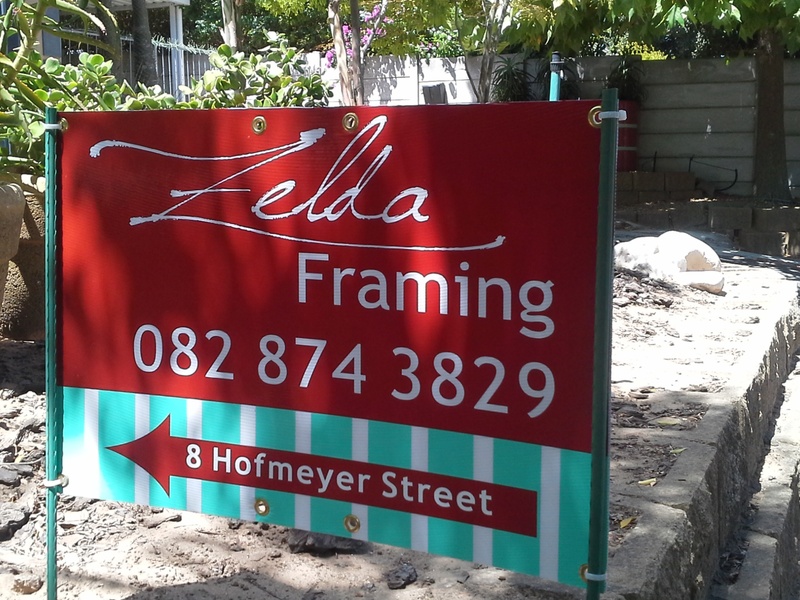 Whats nice about the frames is that you can move them to various rooms if you want to create a new look. This is also not a hugely costly excersise as you can see by the photo (attached) some of the frames I just placed wooden hearts on the glass to create a different look. Even framing has become so much more than…well than just framing. It has become wall art and its wonderful. If you have a moment pop onto Zelda’s facebook page www.facebook.com/zelda framing, or you can reach her on 0828743829, or email zvisser.art@gmail.com. You will also find Zelda at the CY Market……but again that is a story for a different day. My hubby and I decided that it was time to renovate. I knew before we started that this venture would have it’s challenges – you think? Some History: We had been living in our home for 10 years. When we moved in our kids were knee high and now I was knee high to my kids. Their needs and ours had changed dramatically. It’s funny how “the perfect home” can change to “what were we thinking?”. So yes, the 4 of us embarked on this great adventure of gutting our house while continuing to live (I use this term very lightly) there. We began on the 9th January 2013 and what was supposed to be a 4 to 5 month project blossomed into a 12 month epic. To be quite honest it is now over 15 months later and I still spot the occasional workman lurking about. Don’t get me wrong I love the end result. No really. Maybe our budget crashed and burned after 5 months, maybe our electrician disappeared at some stage into the wood work (never to be seen again) and maybe I know far to much information about Y and U bends. These are pipes for the loo by the way. On our adventure I had the pleasure of meeting Phyll. 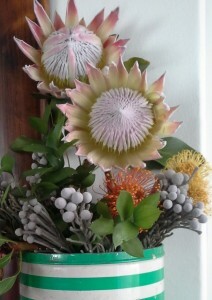 She owns the most amazing little shop in Somerset West Interchange called Ananas. Greg and I had originally had this “Out of Africa theme going (I know, again “what were we thinking”?) Anyway I had these divine lamps but no shades. That’s where Phyll comes in. She has an array of various frames for lamp shades. She advised me on what fabric to buy and how much I would need for my particular shade design. I chose stunning fabric at Fabric Centre ( my absolutely favourite shop) which happens to be just around the corner from Ananas. I dropped the fabric off and let Phyll work her magic. To say that the shades were beautiful is quite an understatement. The workmans ship is absolutely excellent. The shades were also very affordable and the bonus is now that I have 4 shades that are totally unique. So girls and boys if you are like us and need to revamp your look. Try updating your shades. It’s not an expensive venture and really makes an incredible difference to a room. 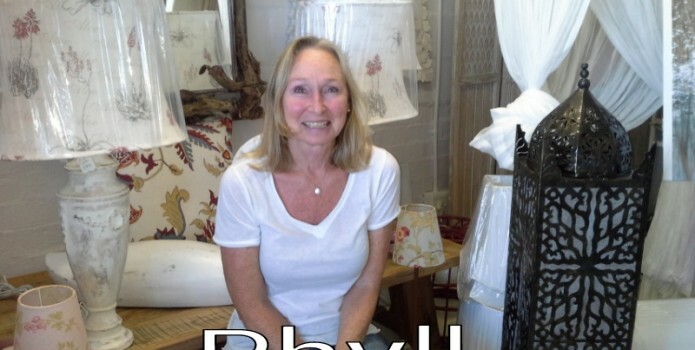 Meeting Phyll was just the cherry on the top as she is a lot of fun and has so many interesting goodies in her shop. Oh yes, again I can just say, “It’s a pleasure”. I love treating myself to a bouquet of freshly cut flowers. Whether they are in an old tin bucket, a vintage can or a fancy vase they always seem to lift my spirits as well as finish off a room. 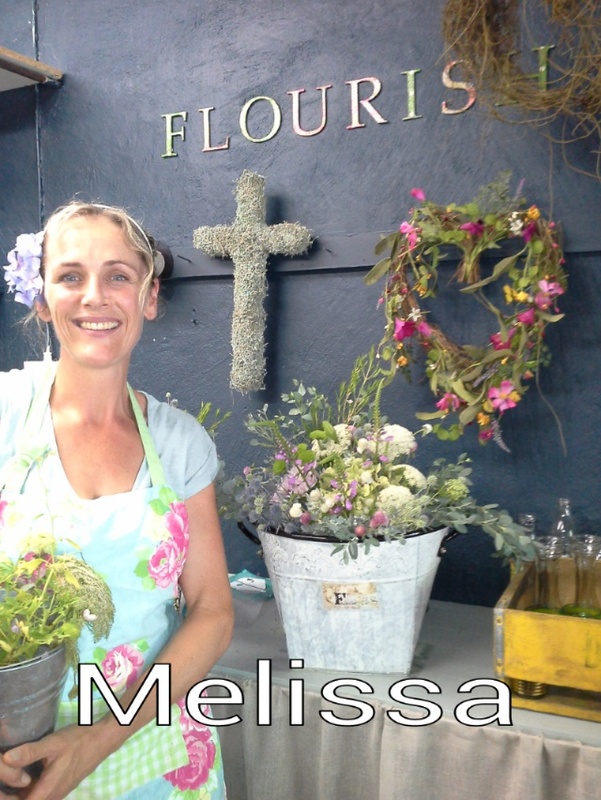 My beautiful friend Melissa has recently started a florist aptly named Flourish. I was so excited as I now had a reason not only to spoil myself, but to support a friend. There is absolutely nothing commercial in the way Melissa puts together her fresh flowers . The blooms that make up the bouquets are all carefully selected. Melissa is a well known landscaper. Her love of the country garden is so clearly expressed in her work. Do yourself a great favour. I am after all the most technologically challenged person that I know. Could someone like me actually start a website, have a Facebook page and write a blog? Well, if I can, anyone can. I am 40ish (lets not go there). I was not born with a cellphone genetically engineered to fit the palm of my hand, an iPod to my ears or a computer to my lap, so all this techno stuff is pretty daunting to say the least. But I came to the realisation that I just had to get with the programme, pleez excuse the pun. So welcome. I hope you enjoy my updates. And I so look forward to hearing your views on my posts. 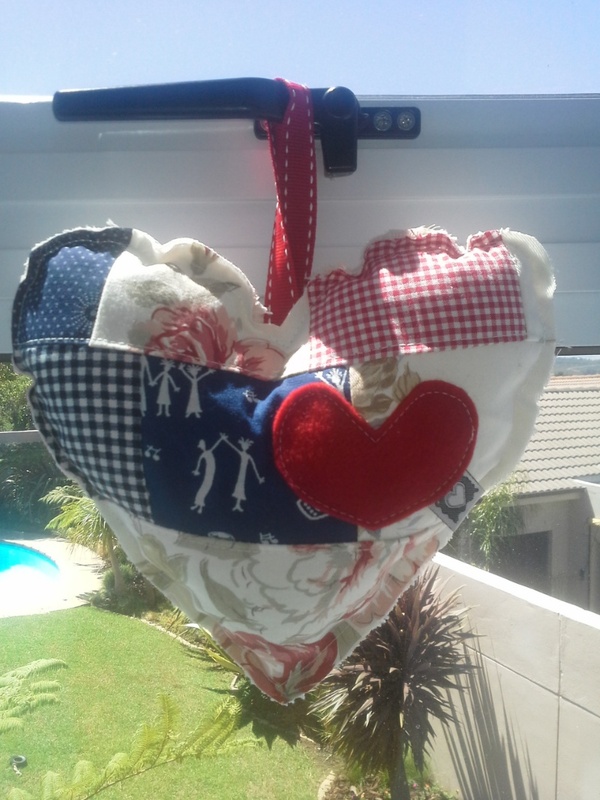 A little history, I love to paint, sew and generally love all things creative. Beautiful goodies I battle to resist. But it is the people. I just love the people. They are so amazing. These wonderful people with extraordinary talents. They must have the most amazing stories to tell. I mean I have been to the Oude Libertas market on a Saturday. 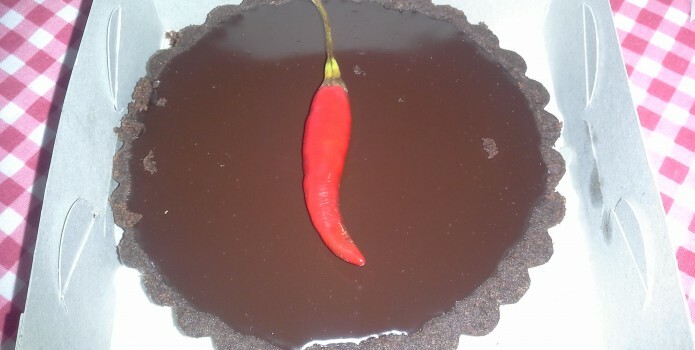 It is a gastronomic affair of major proportions. Well look, if you tuck into some of those delicious goodies you will be dealing with major proportions of your own, if you know what I mean. But seriously there is a couple, Ernim and Elke, they bake the most amazingly delicious cakes, tarts and waffles, people who bake like that have to know their stuff. Oh and the beautiful girl with the pies and quiches, never mind the eccentric man selling that irresistible pesto. I bet they all have something interesting to add. We are all unique and all have a story to tell, and after all who can possibly resist a good tale. So yes, that is my plan. 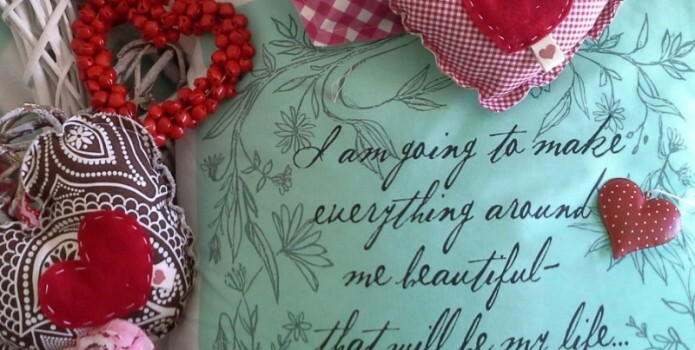 Make those fabulous finds and meet those exceptional people and share their tale. I may even learn something. Anything is possible. After all I did just post this blog!